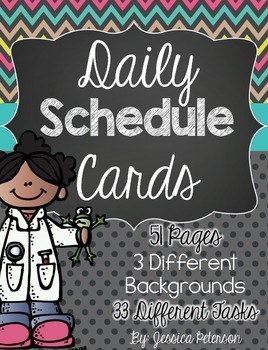 This has everything you need for your Daily Schedule! The backgrounds included are black and bright chevron, stripes, and polkadots. This packet is 53 pages with clips from Melonheadz. There are 3 different backgrounds for each task, day of the week, and header. There are 33 different tasks. Please see the preview for all the template colors. 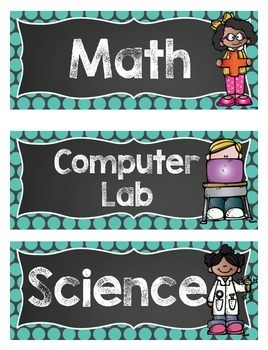 If you like these backgrounds, I have editable name plates with the same background styles in my TPT store.